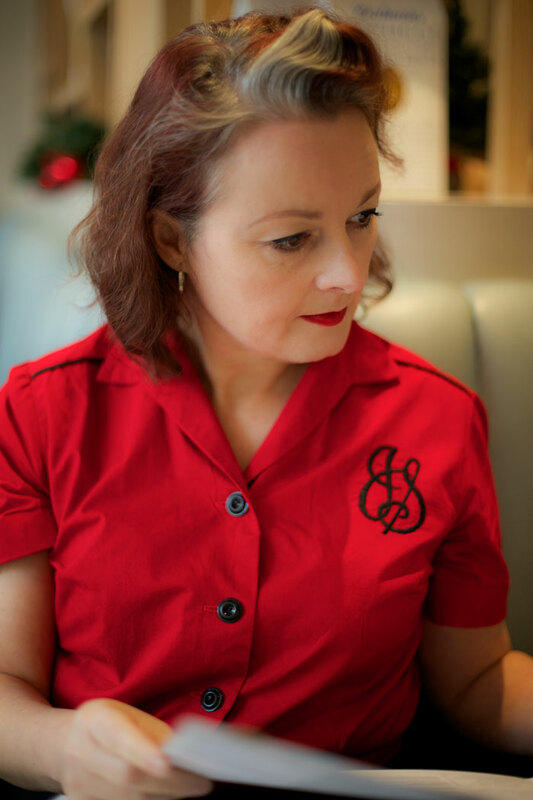 Vintage 50s blouse with monogram | ooobop! I LOVE this blouse!! Will you make it again? Thank you Karen. Most definitely! Great shirt! And I’m most jealous of your Spoolette outings – must be a blast!! Thank you PK. Red and black is a bit of a fave! Love the monogram – clever you. The freezer paper part sounds fiendish though – is there a less stress inducing alternative – for when you’re not chilled out by a Maltese swimming pool? Thank you. Most definitely will find a less fiendish route next time! Wauw, I am mighty impressed with your hand-embroidery! At first glance I thought it was made on a machine! Nice blouse! And I adore your shoes!!! Thanks Wendy. If I could suss how to easily make my Mac a PC I would have done it by machine. I have a fancy sewing machine that apparently does that kind of thing but technology failed me or rather I got fed up with trying to make it work so it was actually quicker by hand in the end! Thanks Siri. It really does come together so easily. 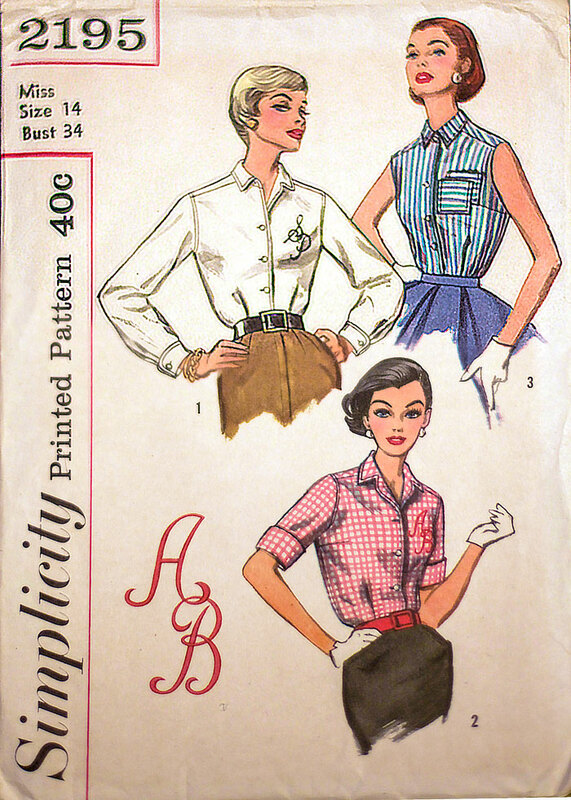 I shortened the sleeves as I didn’t have that much fabric… plus it was more bowling-shirt-ish. But I’m defo going to do another. 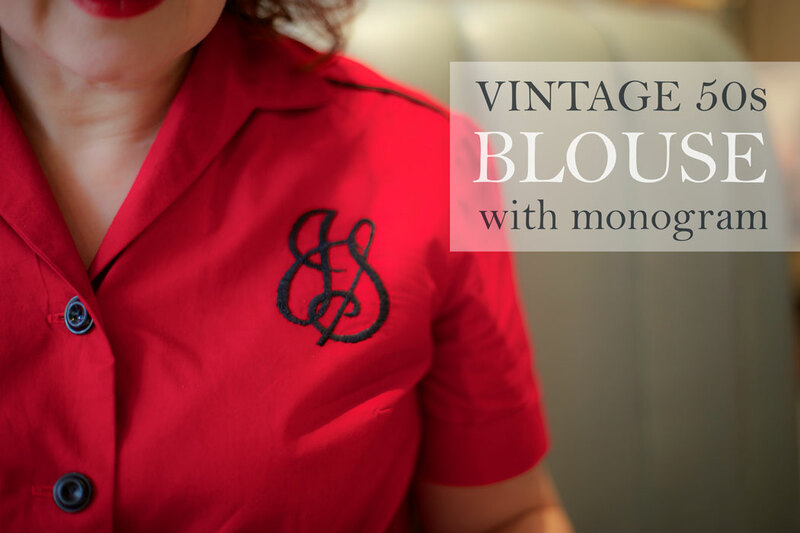 When I clicked on this post over my morning coffee my eyes were still bleary – I read ‘vintage 50s blouse with Mammogram’!! What’ll they think of next, I thought to myself, rubbing my eyes, heh heh. Your blouse looks gorgeous, and the embroidery is perfect! 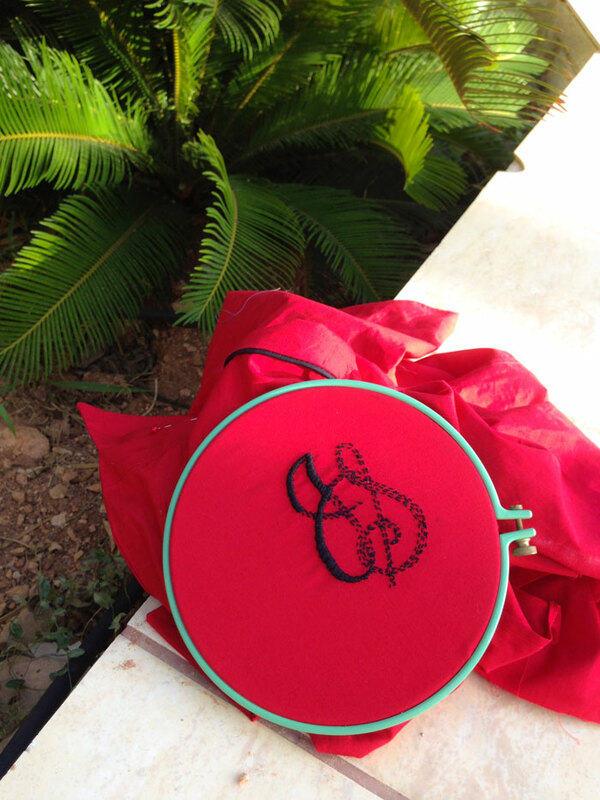 I love to embroider – it really makes a vintage repro item special. As always sooo stylish. 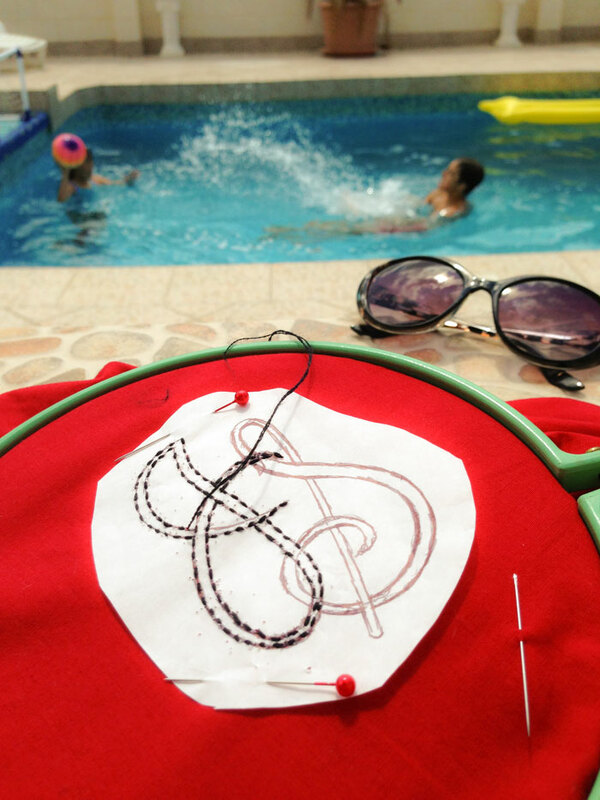 Your embroidery is awesome, I love it. 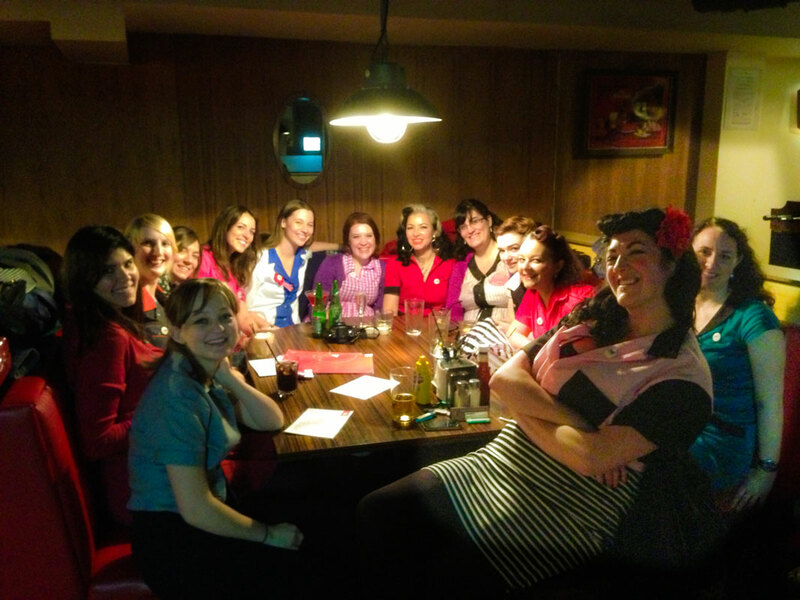 And I have loved seeing a whole gaggle of self sewn bowling shirts! What an outing ! It is lovely! 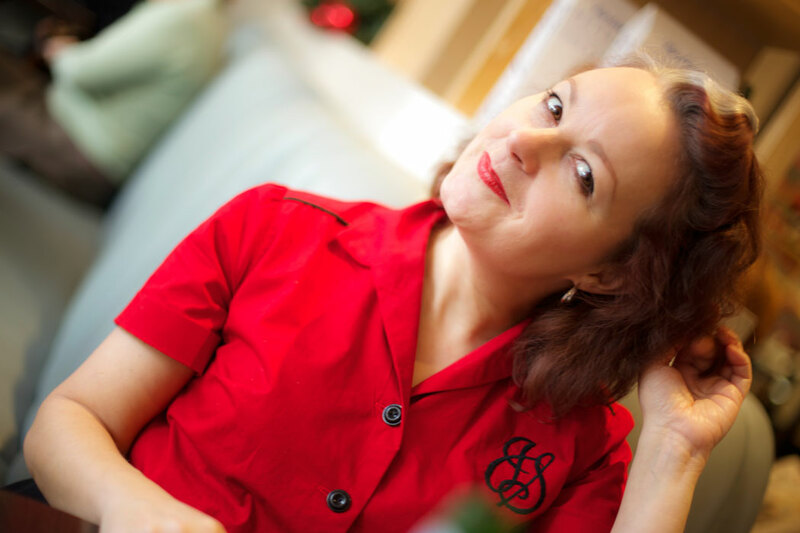 Also, it is always an awesome surprise when another blogger I follow shows up in a photo on a blog I am reading. 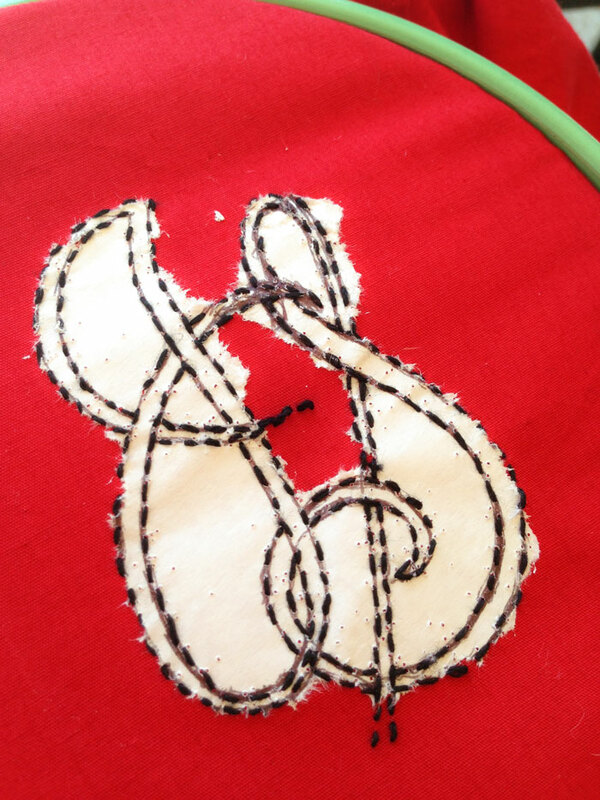 Your hand stitching is SO impressive! I love that you chose to do a monogram. Can’t wait to see a gingham version! Lovely blouse! I have this pattern as well, and it’s a lot of fun to see what it actually looks like made up. Some extra inspiration to get around to making mine someday.